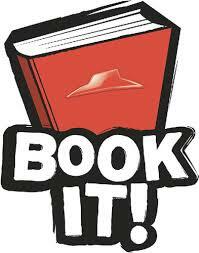 FREE Pizza Hut BOOK IT! Program for Teachers & Homeschoolers ONLY! - Freebies, Deals, & Cash! If you are a school teacher or a homeschooling family, you can sign up for Pizza Huts BOOK IT! Rewards program! Students can earn Free personal Pizzas as an incentive for reading! Students must be in K-6th grade. You can sign up between now & September 6th (or while supplies last). Upon Enrolling, one of the items you’ll receive is a pamphlet of Free personal pan pizza certificates(One-Topping) No purchase required! Click This Link to be taken directly to the Pizza Huts Book It! Program web page, scroll down and select your “role” (Homeschool, Traditional school teacher, School admin, or Student Parent) to enroll. Materials will be shipped by/in September, Free of charge. ← Free Baby Samples/Items From SampleThat! I loved this when I was in school! Now I home school and live in a small town with no chain reasturaunt. I think their is one close.in JACKSON.